Does your smile look like a Jack O Lantern? Does your smile look like a Jack O Lantern? Does your breath smell like an open grave? October marks the beginning of a very busy season, where you’ll be sure to encounter many, from Thanksgiving to Halloween; Christmas to Christmas Parties; New Years, and beyond. You’ll want to visit Dr. Rob Andrew and the team sooner than later, to ensure that your teeth, gums, breath, etc. are in tip top shape. Speaking of breath, the leading causes of bad breath, according to the Mayo Clinic (mayoclinic.org) are food, tobacco products, poor dental hygiene, dry mouth, medications, infections of the mouth; other mouth, nose and throat conditions, etc. Tobacco use may be down in Canada, according to a 2011 Stats Canada poll, 19.9%- a reduction from 25.9% in 2001 (Canadians aged 12+), but it’s still an issue for some, and many are probably unaware of the impact their habit may have on their oral health. Cessation products are aplenty, with gums, patches, vape pens, and E Cigarettes available to those looking to quit. Talk to your doctor about options, and talk to your dentist about the current state of your oral health. Oral rinses, gum, floss… even drinking water- these things can help. 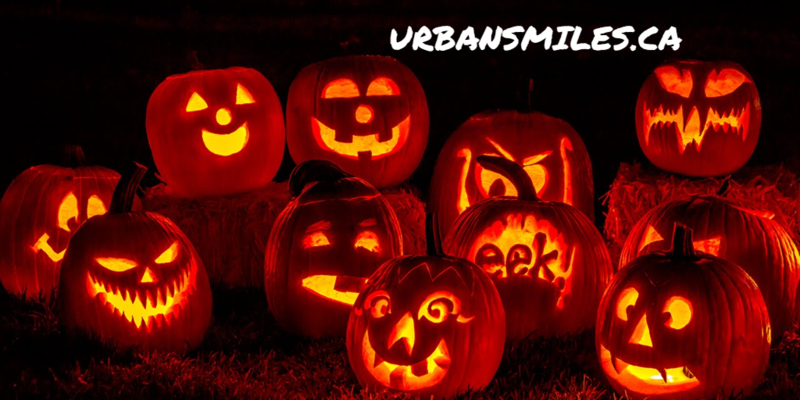 Consult your dental team at Urban Smiles Family Dental for any and all advice on keeping things fresh as a pumpkin. First impressions are important, and no one wants to be known as the person with the avoidable breath. Garlic, onions, coffee… we all know the affect that these foods have on our breath. Halloween will bring the erosion heavy sugars and hard candies that can crack teeth. It’s important to schedule regular checkups and to keep our dentists and hygienists apprised with any concerns we may have, regarding our oral health. 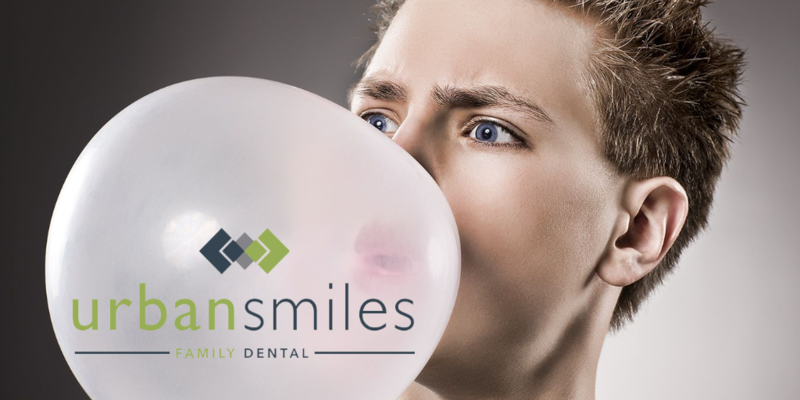 Urban Smiles is a family-centric, community-minded dental office that aspires to be the pinnacle of dental care, with unprecedented attention to patients and their oral health. Well it is time we answer that age old question, “What is the meaning of life?” Ok actually we are not going to dive into that thesis, INSTEAD let’s try to answer another important question (Maybe not AS important, but important nonetheless) SHOULD we be chewing gum, or not? You most likely have seen a chewing gum commercial boast “4 out of 5 dentists agree” chewing gum after a meal is great for your teeth. In terms of freshening breath we all know a solid piece of mint gum can do wonders after a garlic righ dinner! Thank God for gum in that regard! But how is chewing gum REALLY for our teeth? Studies have shown that chewing sugar-free gum after meals and snacks can help rinse off and neutralize the acids released by the bacteria in plaque, which are harmful to tooth enamel. Both the act of chewing and the flavor of the artificial sweeteners in the gum stimulate ten times the normal rate of saliva flow. Not only does the increased saliva flow neutralize the acids in your mouth, it also washes away food particles, helping to keep your teeth clean. Although chewing sugar-free gum can be beneficial in most instances, there are some cases in which chewing gum is not recommended. For example, if you are experiencing any type of jaw pain or temporomandibular disorder symptoms (TMD/TMJ), you should refrain from chewing gum and talk to your dentist about what options are available to you. What is a Waterpik WaterFlosser and how does it work? The WaterPik WaterFlosser is a flossing device that makes use of water to clean your teeth rather than the usual flossing string. It enables you to floss your teeth with water rather than having to run a string between your teeth. The water flosser uses a jet of water that is sent to the teeth at high pressure and from a small outlet. There is pulsation in the flow of water to dislodge any particles that may be stuck between the teeth. The jet of water is aimed at the gumline and between the teeth for effective flossing. As the water hits the areas, plaque, tartar, and food particles are dislodged and removed from the mouth by the flowing water. According to Dr. 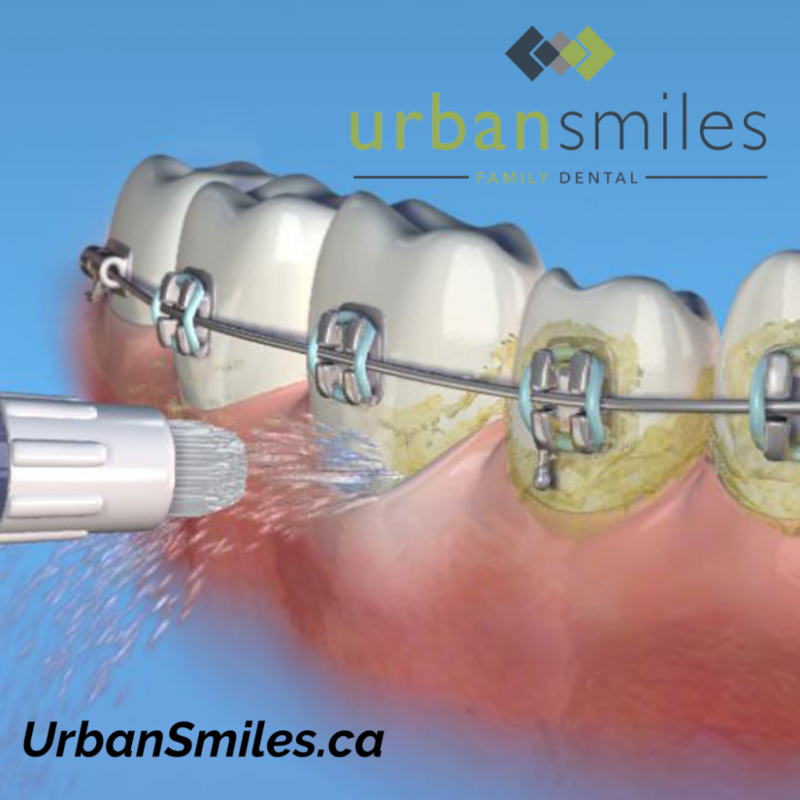 Rob Andrew of Urban Smiles Family Dental in Edmonton Canada, the flossing string does not get rid of the plaque at the gum line. It only removes particles between the teeth. Even between the teeth, there are those small particles that do not come out. The only way you can remove the particles with water pressure. Waterpark waterFlosser delivers this pressure. Research has also shown that flossing with pulsating water is more effective that using a steady stream of water. The device also has different pressure settings that enable the user to vary the pressure to his or her liking. WaterPik waterFlosser is also more comfortable to use that the string. People who suffer from sensitive teeth may not feel comfortable pulling strings between their teeth. The flosser offers an alternative. Moreover, people who feel too lazy to floss their teeth also find the flosser easy and fast to use. You should floss your teeth every day, preferably after brushing. Brushing should be done at least twice a day. Dr. Rob Andrew advises that you brush your teeth at least twice a day. If you brush and floss every day, you lower your chances of getting tooth decay and other hygiene related conditions by more than 40 percent. WaterPik waterFlosser comes in many designs and features. There is the countertop design that comes with corded and cordless options. There is also the flosser and electric toothbrush combined into one. 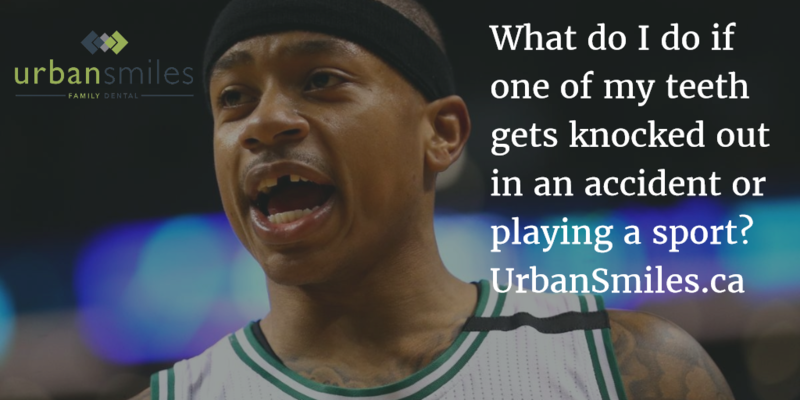 What do I do if one of my teeth gets knocked out in an accident or playing a sport? You may have your teeth knocked out in a car accident while playing or hitting a stationary object. There is a high likelihood of losing a permanent tooth. However, if you act fast, the situation can be salvaged so that you retain your tooth. Here are some things that you should do. The dentists usually refer to the broken tooth as avulsed tooth. The tooth usually has its nerve endings and blood vessels damaged. These two cannot be repaired. This is why a root canal procedure is important on the tooth. The bone will attach to the root of your tooth once it has been put back in place by the dentist. Ensure that the tooth is kept moist at all times. It is good that you drop it in a glass of milk or place it between your cheek and the gum. If the patient is a child, tell him or her to spit the tooth in a cup and add some saliva. If that is not possible, use water. The child may not hold the tooth in his or her mouth without swallowing. As explained by Dr. 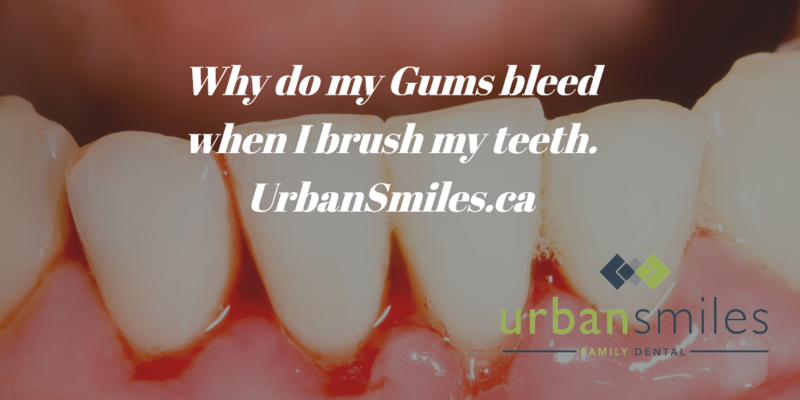 Rob Andrew of Urban Smiles Family Dental, Edmonton Canada, it is important that you see the dentist in about 30 minutes to an hour after the accident for the reinsertion procedure. The root canal procedure is only done if the crown is intact. If the tooth is broken, the dentist will suggest a prosthetic tooth or a bridge. If there is some debris left in the socket, they will be removed at this stage. Usually, the dentist splints the tooth in place with a composite material and a soft wire. This helps the tooth to remain in place for a few days. 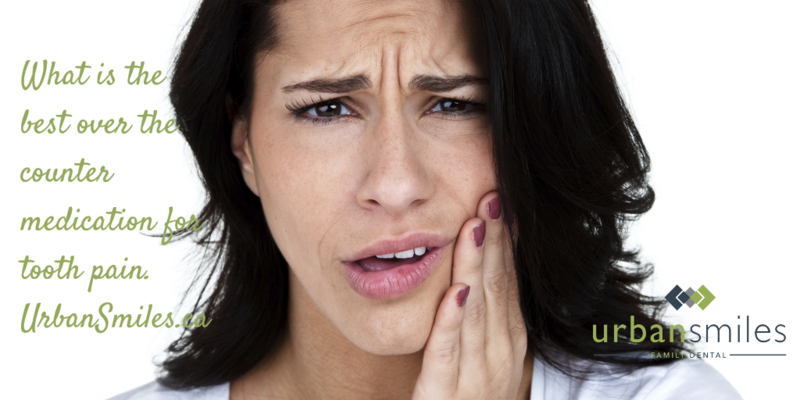 If you have broken your jawbone, it may take a little longer to have the tooth healed. 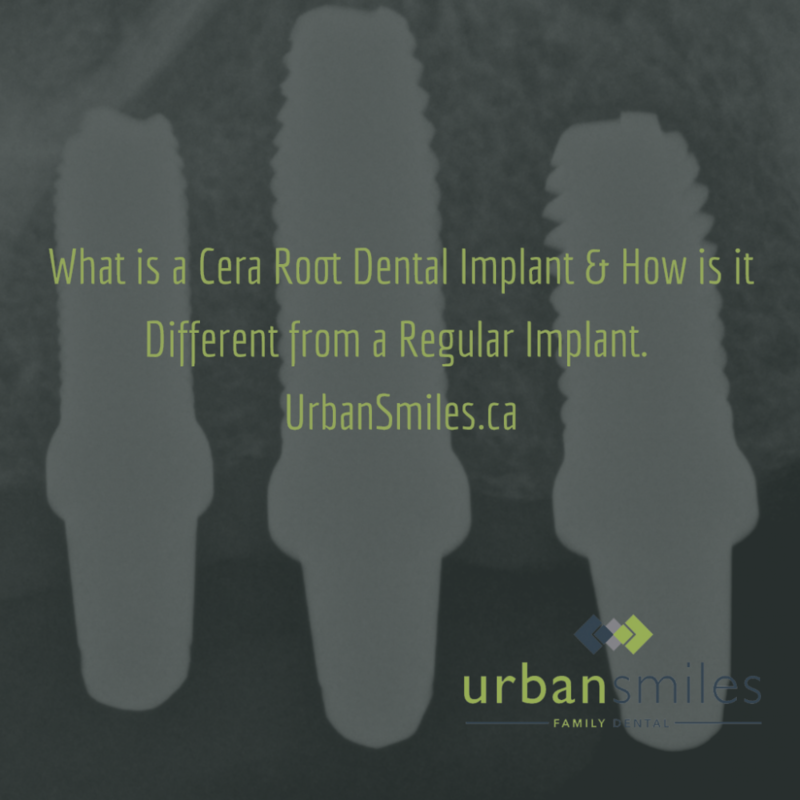 What Is A Cera Root Dental Implant And How Is It Different From A Regular Implant? A Cera Root dental implant made from a ceramic called Zirconia Oxide. It is used to replace soon to be missing teeth, or already missing teeth. 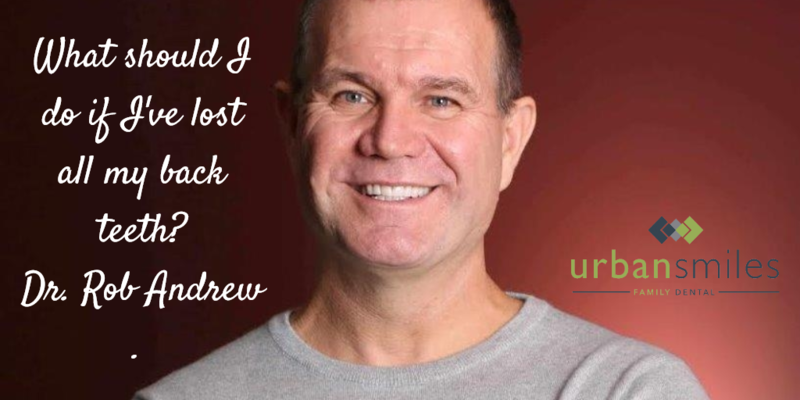 Cera Root dental implants are becoming more popular with each passing day due to their advantages over the traditional metal implants, hence the reason why Dr. Andrew & Urban Smiles Family Dental recommends them. Here are some of the things that make them different from regular implants. Allergies and sensitivities: There is an increasing number of people who suffer from allergies and sensitivities that contraindicate the implantation of metal devices. Many cases of allergies to titanium dental implants develop after long-term exposure to the metal. This means that one can develop allergies or sensitivities in the form of inflammation, redness, itching and discomfort leading to loss of teeth after years. Cera Root implants, on the other hand, hardly cause sensitivities or allergies, hence the reason why many dentists recommend them. Biocompatibility: As compared to regular implants, Cera Root implants are made from a biocompatible material called Zirconia Oxide. They lead to a firm fixation between the ceramic implant and bone. A study conducted at the University of Minnesota recently confirmed that Cera Root implants have a stronger osseointegration compared to other implants. Corrosion resistance: Zirconia is an electric and thermal insulator as well as highly resistant to corrosion. These properties make Cera Root implants highly bio-inert, thus ensuring that the surrounding tissues remain healthy after implantation. Esthetics: As they are white in color, Cera Root implants easily overcome many shortcomings of traditional metal implants. This is particularly important if a patient has thin gums, where implants shine through them and give a gray appearance. The aging process also leads to recession of the gums and if one has metal implants, they may become visible. Electric insulant: Being a non-electric conductor, Zirconia implants make it hard for bacteria and other foreign materials to adhere to the surface of implants. This makes it easier for patients to avoid bleeding of gums as well as clean and maintain healthy gums. One-piece design: Traditional implant systems are usually made up of an implant that is placed at bone level as well as an abutment connection that’s connected to the implant by a fixation screw. These multiple parts make it easy for bacteria colonies to grow in between them and induce peri-implant inflammation by releasing toxins. This can sometimes compromise a patient’s immune system due to stress, smoking, allergies, illness or even age. The one-piece design of Cera Root implants eliminates the risk of the above problems. What Is The Best Over The Counter Medication For Tooth Pain? This is a popular over the counter medication for toothaches that is particularly helpful to individuals who can’t take ibuprofen. Like with any medication, it’s important that you have a discussion with your dentist or physician because there are drug interactions and side effects that you should know about before taking Acetaminophen. The drug is available in various forms including oral suspension fluids, liquid gel capsules, and tablets. This is the most popular type of pain medication for toothaches that’s available over the counter. It is a non-steroid, anti-inflammatory drug that works great for dental pain, especially since inflammations are directly related to pains and aches. Your dentist can prescribe ibuprofen every six to eight hours as an alternative to narcotic pain reliever. Ibuprofen, or any non-steroid, anti-inflammatory drugs, cannot be used by anyone who has asthma. It is available in oral suspension formulations, liquid gel capsules and tablets. This is another drug classified as a non-steroid, anti-inflammatory medication that can be used to relief toothaches. It is sold both as a generic version and a whole lot of trade names. It has a better effect when it comes to pain relief as compared to ibuprofen, which would explain its higher price tag. Other over the counter medications that have been known to have a good effect on tooth pain are anesthetic liquids, gels or pastes such as DenTex Stix, Orajel and Anbesol. The problem with these medications is that with these medications, the effect doesn’t last very long. It’s been said that alternating ibuprofen with codeine can help for the hours in between when the ibuprofen has worn off, especially if one is on a maximum dose. For extreme pain where your gums are swollen and there is stuff oozing out around your tooth, the best thing to is to see a dentist for treatment. 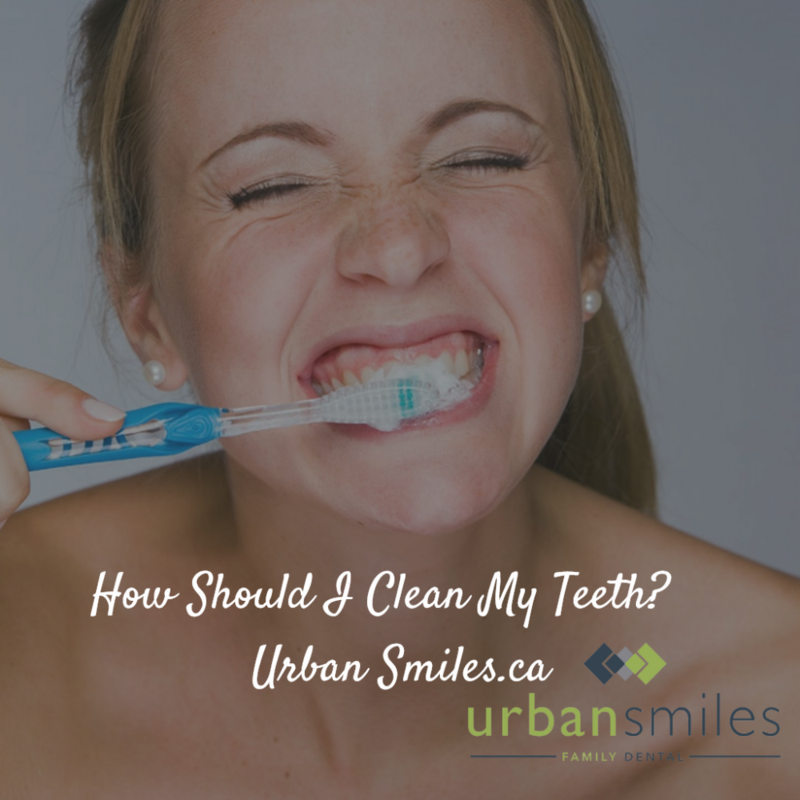 How Should I Clean My Teeth? Do you ever notice that sometimes you have a bad breath even though you brush your teeth and floss at least twice a day? The reason is not because you use the wrong brushing or flossing technique. It may in fact be because you don’t clean your tongue properly or at all. The tongue is an important feature of the mouth that makes it possible to articulate speech and eat. We wouldn’t be able to whistle a tune, taste anything, chew, swallow or tell someone about our day without the tongue. Just as bacteria builds up on and between teeth, and hardens into tartar or plaque if not cleaned, bacteria builds up on the tongue. The surface of the tongue is usually covered by tiny bumps known as papillae. Food particles, bacteria and dead skin cells often collect between the grooves of these bumps and with time, they are covered by a layer of mucus. Trapped between the surface of the tongue and mucus, these bacteria can lead to bad breath and discoloration of the tongue, hence the importance of cleaning it. But how should you go about it? There are two main ways to properly clean your tongue as recommended by Dr. Andrew & Urban Smiles Family Dental i.e. scraping and brushing. The latter involves gently scrubbing the surface of your tongue back and forth with a moistened toothbrush. This can be achieved effectively by spitting out excess toothpaste after brushing your teeth but before rinsing your mouth. Scrub your tongue with your toothbrush that still has some toothpaste residue. Also scrub the cheeks as well as the roof of your mouth before rinsing to get an all round clean. A tongue scraper offers an alternative solution to keeping your tongue clean and avoiding bad breath. It is available in many drug stores and is designed to glide along the surface of the tongue and take off the layer of mucus as well as any debris or bacteria it traps. For effective use, stick your tongue out and place the scraper at the back of the tongue and slide it down towards the tip. Rinse the scraper and repeat the process, ensuring that you move from the back to the tip to prevent accidental ingestion of the debris and bacteria. Rinse the scraper thoroughly then brush and floss your teeth once done. Cleaning your tongue is something that should be part of your daily dental health routine. With opportunities for bacteria and food particles to build up on your tongue on a daily basis, the importance of cleaning your tongue every day cannot be stressed enough. What Should I Do If I’ve lost All My Back Teeth? With such risks, you’d think that people would place an urgency on replacing lost back teeth as compared to the front teeth. Due to their exposure, many people prefer to replace their lost front teeth and assume that since no one can see the posterior, there is hardly any need to replace them. However, from a dental point of view, it is important that you consider replacing them at least for the loss of function created by their absence if not aesthetics. It’s also important to note that just because posterior teeth are out of view, losing one or more of them won’t change your appearance with time. A good example of an effect of losing back teeth is that the facial height reduces and this becomes incredibly visible after a while. Unfortunately, that is not the worst you will experience after losing back teeth. Some of the consequences mentioned above, say for instance shifting of teeth, can set off a chain of reactions that eventually weaken the overall dental system. With a back tooth missing, the adjacent teeth shift at an accelerated rate and if they shift too much, they can become worthless with time. Shifting of the teeth can also change the relationship of how the teeth and jaw are attached, increasing the risk of periodontal disease. Replacement can help curb some of the above consequences. Professional dentists like Dr. Andrew recognize implants as an effective way of replacing missing posterior teeth. Some of the obvious benefits include their ability to contribute to the bite, easy to clean, free standing restoration and the fact that the restoration process doesn’t affect the adjacent teeth. Bridgework and removable partial denture are also effective solutions for curbing the effects of missing back teeth. Is your Child at Risk of Tooth Decay? 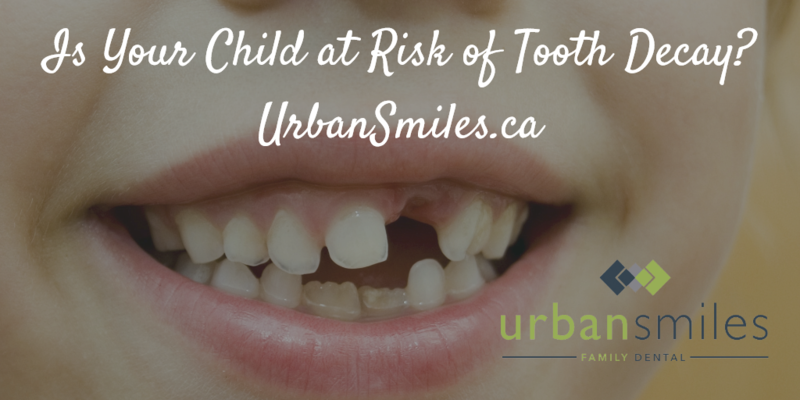 If you have experienced a decayed tooth, you can begin to imagine how uncomfortable it would be for a kid. Unfortunately, tooth decay plagues many children that it should largely due to their sweet tooth. Sodas, candy, chocolate and other sweet bites loved by children are the source of tooth trouble. The mouth has naturally occurring bacteria. When you eat food containing sugar and starch like soda, candy or sweets, some of it sticks on the teeth and gums. When bacteria feed on these sugars, acid is produced. This acid eats into the tooth enamel over time, making a cavity. An appearance of a white spot on the tooth is a sign that the enamel has worn away and weakened. Dr. Rob Andrew says at this point the decay can be reversed. Saliva contains minerals such as calcium and phosphate, and also fluoride from toothpaste. The tooth enamel can gradually build up again over time with good dental hygiene. If this is not done, a cavity develops which can only be remedied by filling. Fluorinated water from water wells. However, this should be taken with care as water containing excessive fluoride can stain the teeth leading to brown teeth. Proper and regular brushing of the teeth with toothpaste is the best way of getting rid of leftover food particles sticking to the teeth and gums. Children should be assisted and taught how to brush teeth until they are about 7 or 8 years of age. Regular dental checkups can identify any sign of tooth decay and remedy any damage. If a child has decay on the permanent teeth, filling could be considered. The dentist can also apply a sealant on the molars and pre-molars to avoid food being trapped in the ridges. Eating of Candy, soda, biscuits and other sweet snacks should be reduced. Encourage your child to eat these foods after meals and then brush his/her teeth immediately afterwards.